Our pâtes des fruits are made with 70% pure fruit, a luxury take on the classic French delicacy. 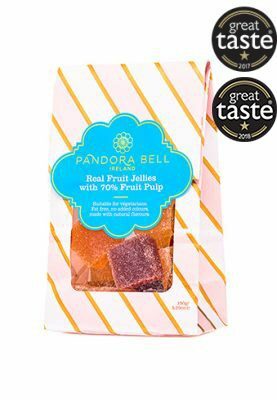 Gorgeously simple, the taste of fresh fruit bursts from every square. Taste the tang of real strawberry, apricot, lemon, raspberry and pear. Made from Fruit, sugar and apple pectin, nature offers all of the taste. Gluten Free and suitable for vegans.